As mentioned above, any incision that is made through the muscles of your abdomen will heal by the formation of scar tissue. This scar tissue becomes an area of weakness in your abdominal wall. A hernia – called an incisional hernia (http://www.nhs.uk/conditions/Hernia/Pages/Introduction.aspx) – can develop through this area. 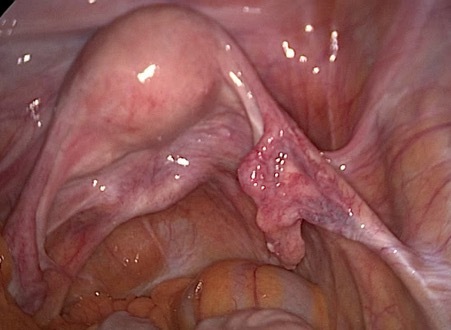 The risk for hernia after an open operation is about 10-20 times greater than with laparoscopy. 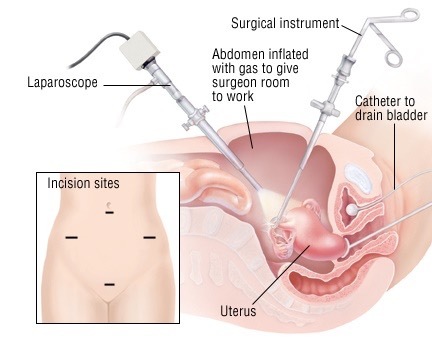 Laparoscopy can be used for almost all operations in your abdomen. Ultimately, whether laparoscopy is suitable for you depends on the nature of your individual problem and your personal medical history. Mr Chattopadhyay is very experienced in keyhole surgery for majority of the conditions that are explained on this website. He performs majority of the operations entirely by laparoscopy. But, open surgery can be better or safer in some cases. Often, a problem is not obvious during the operation but comes to light afterwards. For example, bleeding that is seen during the operation can be stopped by one way or another. But, raw areas can bleed post-operatively. If a join has been made in your bowel, juices can leak out after the operation is completed and cause serious infection. We often see that patients with complications look and behave less unwell after keyhole surgery than after the same open operation. Consequently, there can be delay in recognizing that there is a problem. Also, because recovery is quick and allows early discharge from hospital, complications may happen after you have gone home. Vigilance is critical. Please get in touch with the hospital immediately if you feel unwell after discharge.